Use this forum to ask questions about how to do things in the QCAD Community Edition. I think I do not understand the problem (maybe I'm a little bit tired). If you scale an object, it is obvious that you scale the quote too. Did you try to scale the drawing in the print preview window? matbech wrote: I think I do not understand the problem (maybe I'm a little bit tired). If you scale an object, it is obvious that you scale the quote too. You understand perfectly. It happens that the goal of escalating the bloc is to generate drawings at different scales within the same plane. 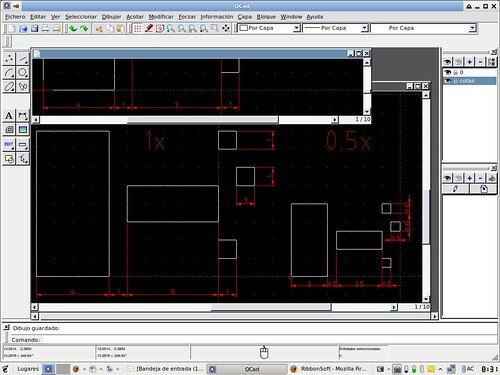 QCad is excellent for that, because it allows you to edit the original block in a separate window, very comfortable.